Water heaters that earn the ENERGY STAR come with gas, solar or electric heat pump technology. They heat your water just like standard models but with much less energy, saving you up to $3500 over a unit’s lifetime. Learn what to look for when buying and installing an ENERGY STAR certified water heater. If all residential water heaters sold in the United States were ENERGY STAR certified, the energy cost savings would grow to nearly $13.4 billion each year, preventing more than 155 billion pounds of annual greenhouse gas emissions - equivalent to the emissions from nearly 15 million vehicles. Thank you for pledging to purchase an ENERGY STAR certified water heater! The installers listed below meet the vetting process of utility-sponsored energy-efficient heat pump water heater programs in their area or that of the product brand owner they are affiliated with. The ENERGY STAR Program is not responsible for the quality of services provided and encourages consumers to ensure their installer is properly certified and licensed. 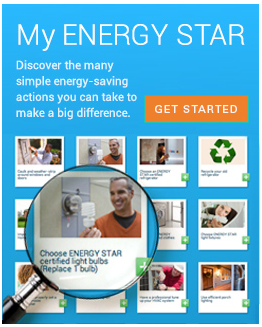 These links will take you to web sites external to the energystar.gov domain.